Cammie Pollastro, Assessment Coordinator at Western Wyoming Community College. Click here to listen to the webinar featuring these three campus presenters. Heather Chapman indicated that Weber State administers the RNL Student Satisfaction Inventory (SSI) because it is a good fit for their demographic, they have found it relatively easy to convert the data into action, it is a comprehensive survey instrument, and the results are easy for faculty and staff to digest. Chris Confer shared that they were looking for tools to help them with improving retention at Anderson University. They wanted data to support or refute anecdotal evidence, and also were looking for ways to understand and improve the value of the university in the face of rising tuition. They also appreciated that the SSI offers external national benchmark for comparison purposes. 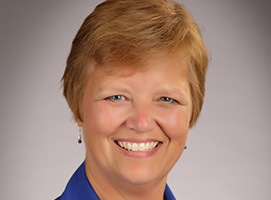 Cammie Pollastro said that the decision to use the SSI was made several years ago by her predecessors at Western Wyoming Community College, but the current team has continued to use the instrument because it gives them an important perspective on their students’ perceptions, helps them to understand which campus services are most important, and identifies current satisfaction levels. How do campuses share their college student satisfaction data? What are some examples of initiatives and responses? What lessons have been learned for improving student satisfaction efforts? Interested in learning how to make the most of a student satisfaction initiative on your campus? I invite you to join me at one of two upcoming half-day client-focused workshops to talk with me and as well as with institutional colleagues about best practices with student satisfaction survey activities and getting the most out of your student satisfaction data. Learn more and register here. Pre-registration is required. Space is limited. This FREE event is taking place at Johnson County Community College, just prior to the National Benchmarking Conference. (Please note that you do NOT need to be registered for the conference in order to participate in this client workshop, but you may want to consider staying on for their event as well). The Ruffalo Noel Levitz workshop is open to and appropriate for ALL institution types. Learn more and register on the AIR Forum Website. Pre-registration is required. Space is limited. This workshop is a pre-conference session in advance of the AIR Forum. It will be geared specifically to institutional researchers. You MUST register for the AIR Forum in order to participate in this session and there is an additional charge for the pre-conference workshop ($120 for AIR members / $150 for non-members). I hope to see you at one of these two events. If you have questions or comments about how to best conduct and utilize satisfaction survey assessments, feel free to contact me.